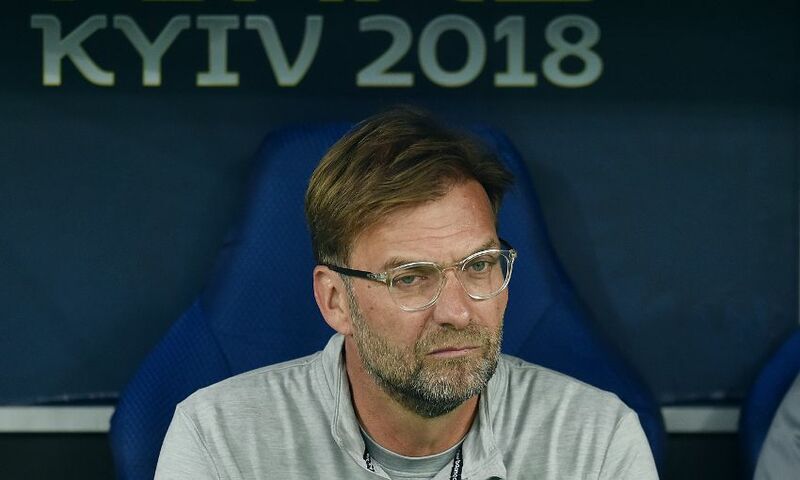 Jürgen Klopp gave the following post-match reaction after Liverpool were beaten 3-1 by Real Madrid in the Champions League final in Kiev. Congratulations to Real Madrid, [it’s] not to forget they won the Champions League tonight. Of course it was a big moment in the game. I know if you say something like that after a game you lost, it sounds like you are a little bit a bad loser but it was, for me, kind of a harsh challenge; it’s like wrestling a little bit and it’s unlucky then that Mo fell on his shoulder. It’s a serious injury; worse, a really serious injury. The shock of the boys was obvious, we dropped a little bit deep and Real tried to use that for positive momentum, until we settled a little bit. It was quite difficult but 0-0 at half-time, we could adjust a few things – defending half-spaces, which we did before that really well, and then playing more football. And then the other decisive moments were the goals; they were quite strange, that’s how it is. We all know the result is 3-1 Real Madrid and that’s why we are not in the best mood obviously. I’d love to say ‘no’ but he was very decisive obviously, especially with the bicycle kick – it was a fantastic goal, an unbelievable goal. They hit the crossbar as well and had one or two big counter-attacks, but we hit the post, [our] set-pieces that were absolutely OK. The difference is that you need a little bit of luck in a football game, especially a final, and we not only had no luck – we had none plus bad luck. That’s the problem. In life you always have to accept that we do that, and we will carry on. But in the moment we see all the situations and think, ‘Wow, how did that all happen tonight?’ But the game is over and whatever I could say, the result will not change. It’s very bad for Mo, very bad for us and very bad for Egypt. That’s part of the sport. I don’t like that part of the sport but it’s part of the sport and things like this can happen. I don’t know what would have happened if Mo could have played on, we will never know that. But everybody saw in the first half that we were the opponent probably everybody would have expected; we played good football, we switched sides, we kept the ball, we had direction, we created chances, we pressed them high in good moments with good timing, all the things. But we lost 3-1. I don’t think in 10 years anybody will speak about how we lost. That’s what happened tonight. It was a football game. We buy players, we sell players, we do exactly the same like Real Madrid, only maybe a little bit different opportunities but I’m fine with our opportunities. I really think – and it’s not a problem because nobody talks about it anymore – but if things would have been not that bad for us tonight we could have won the game. That’s how it is. We were there, we were here, we did the things we are good in and, if they all stay on the pitch, we don’t make these kinds of mistakes – all if – then we can win the game. But now, things went how they went and we have to accept that, that’s all. I have only very, very few words after the game but it’s nothing to talk about. I really feel for him, nobody wants that, [but] that’s the situation. The mistakes were obvious, we don’t have to talk about that, it’s all clear; he knows it, I know it, you all know it. Now, he has to deal with it, we have to deal with it, we will do that – of course we will be with him, there’s no doubt about that. It was not his night, obviously. I’m not fine, I’m the opposite of fine, but I try to be professional. I said it a few times, I’m turning 51 next month or so, I lost games in my life before, I won games in my life before – I know how to deal with that. What you cannot avoid is the feeling you have the night after the game. We all feel really, really bad, and the way home will not be the best trip we ever had in our life but we have to accept it now. We wanted everything and got nothing, or minus something with the injury of Mo. He didn’t play the final, we lost a very important player like probably Egypt lost a very important player. I still hope it’s not like this, I have no idea [what] it is exactly, but all the medical department, what they said so far, it doesn’t look really good. At the end, it’s a football game, we tried everything to win it, that’s why I wouldn’t change anything in my preparations. I did the best I could and it was not good enough and I have to accept that, that’s it.